This is a message coming straight from Radios own PIA QuantumDEF. We would like to extend our deepest apologies for radio still being down. We are happy to report that the maintenance is nearing completion and we are running final tests and tweaks. The Radio will be back up and runningbetter than ever before you know it. In the meantime if you have any Questions, Concerns, Comments, do not hesitate to email me at QuantumDEF@taw.net. We are sorry these new changes are taking so long but are happy to continue to keep you all informed. We have a special request from the Tabletop Role Play Division! 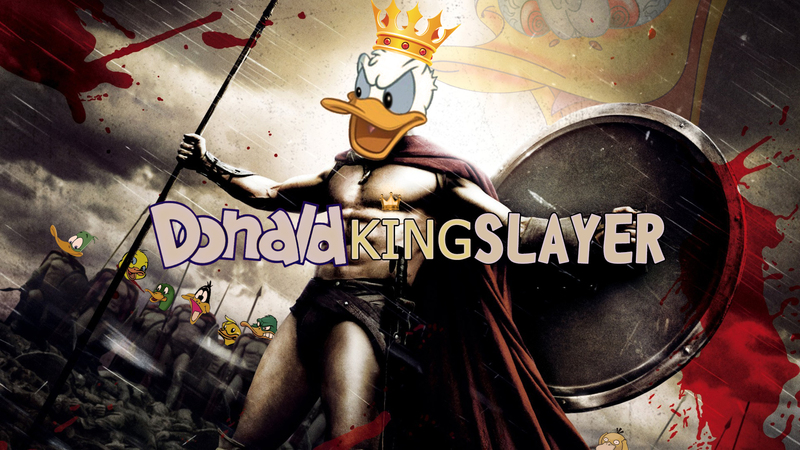 Robotzhateme [RP DC] is reving up to host a night filled with trivia and brain teasers! Test your knowledge in a variety of categories at the next TeamSpeak Trivia Night event on Saturday, 15 September @ 9pm CEST/2pm CST. The invitation is open to everyone, feel free to invite a friend 😊. If you’re having such a good time, the Tabletop Role Play Division is considering doing a trivia night every month. Let them know if you would be interested in joining on a monthly event! SOCOP is pleased to announce the 1st Annual Meet N Greet for the North American West Coast. We would like to invite you to join us in meeting members of TAW! Even though the event is named “West Coast”, all members are welcome to attend. Lodging with special rates have been acquired through Radisson Hotel Portland Airport which centrally located to Public transit, and of course the Airport for those who fly in. For more information on the Hotel go HERE Please be advised that the room configuration is limited to Two(2) adults per room w/two(2) queen size beds w/two(2) night stay. Nine(9) rooms have been blocked for the event and are first come first serve basis. Additionally these rooms must be reserved before September 28 otherwise they will revert back to the public for reservations. The complete itinerary will be emailed to the email you indicated on the sign up form below. Personal seal requests are back! To save you some time here is the link for our wiki where you can read all you need to know for requesting your personal seal! Well, We all together with GFX Division Command decided that summer is the time where we could use a break from personal requests, members went on holidays, some worked more over summer and better than few members doing all work, we made the pause from personal requests. Obviously, We can't close official request as TAW need us to keep on with all cool projects we get so we closed personal request which is on end requests that we have most. 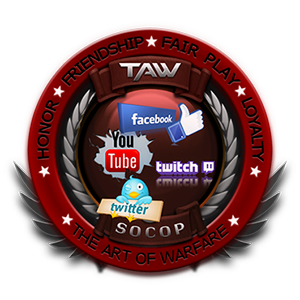 What we know now is that GFX will need new members that want to work and help TAW Troughout Operations. Yes, Graphics Division is recruiting new members! Big thanks to GFX team without which this wouldn't be possible! We are excited to announce our latest 1v1 tournament. You must be a TAW members to participate but you can be from any division. The action starts on the 8th - 9th September, 8pm CEST (1PM Central) and will be played with double elimination rules. Sounds exciting, right? Use the link here to sign up for this event! We will be streaming the event on TAW TV so you can still be part of the action even if you don't play Smite. 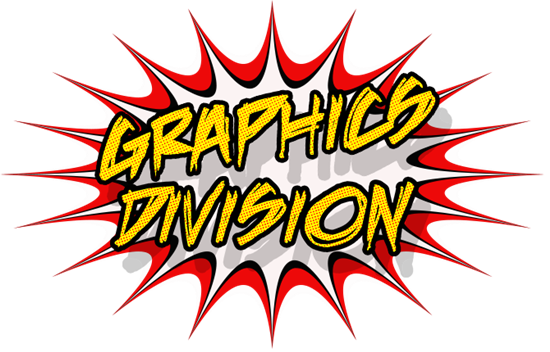 It’s my pleasure to say that Graphic Division is from now on looking for recruiting around 5 members which will join us and help us with our projects. We are looking for full-time members (require transfer to GFX) with some kind of graphical/design abilities to start making custom avatars for members of the community. GFX is searching for members which have time, will and motivation to help the community in all kind of ways. As for now, our first priority is to build up the numbers and start working on avatars and shop designs. As a side activity, GFX also helps TSO by providing the content for blogs and streaming (e.g. banners, backgrounds, twitch overlays, content for recruitment and tournaments). What GFX, for now, can offer you is a place where you can learn and perfect & practice your graphic abilities, a place where you can help a wide range of divisions and in that way contribute to our community. Have or obtain the Security Awareness Badge. Be proficient at graphic design and/or product design. Potential applicants will be required to display their abilities before being considered. Be able to complete things on time at any given moment. Normal completion time requirements for graphics is 10 days, but can be subject to change if it is an official deadline requirement. Be able to improvise and expand into other areas if needed. Be able to work well as part of a team. Have the right mindset to work with other members in a working environment. Must have sufficient skill and knowledge of TAW's Code of Ethics and policies. Only apply if you have the time to dedicate yourself to TAW's Graphics team!